Metro Realty Group Where Homes List for Less! Metro Realty Group is a commission-discounted residential real estate office located in West Allis, WI. We’re fully staffed and proudly serve clients in Milwaukee and all surrounding counties. 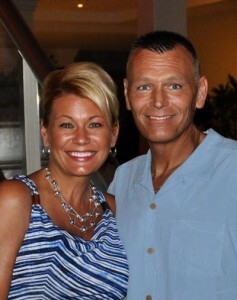 Jeff and Tammy Tekaver have been licensed agents since 1991. In November of 2002, they opened the family- owned Metro Realty Group. Their goal and continued mission to this day is to provide a large real estate firm’s know-how with a personal touch and individualized service. We offer the same service as the larger companies – such as inputting listings into MLS system, www.wisconsinhomes.com and our website; professional FOR SALE signage, quality color flyers, targeted neighborhood advertising & distribution and professional photos of the home to enhance the listing – and all at a discount! We “LIST FOR LESS” so you can save money on your commission costs. The standard commission in the area is 6.0%. Metro Realty Group commission structure starts at 3.0%! This is how it works- if another agent is involved in the sale they receive 2.4% commission- our office also receives 2.4% commission for a total of 4.8%. If no other agent is involved your full commission to our office is only 3.0%! You will get the same personalized service no matter if another agent is involved or only our office. Selling your home is a major life decision and we want to make the process as stress-free as possible and put our sellers at ease- leave the work to us! We also work with buyers also to help them find their dream home with no buyer agency fee at all. We have been a million dollar club member in MLS since opening in 2002. No formal complaints have been entered about us since opening in 2002 through MLS office or the State. We are members of the Multiple Listing Service, State of Wisconsin License and National Realtors Association. Have maintained our member status through continuing education every 2 years.